Nothing says fun like slip sliding away through a hot summer day. 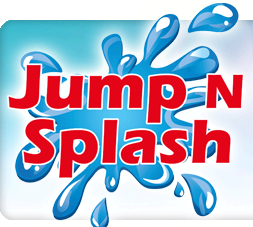 Water Slides, slip & slides, dunk tanks, are all here from JumpNSlide.com. Our Houston customers love our Dunk Tank rentals and you will too. Great just for the fun of it, but Dunk Tanks make a great fundraising tool for schools, church groups, and other community organizations. 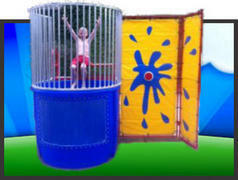 Browse the Dunk Tank rentals below and click on the image or title for more details.